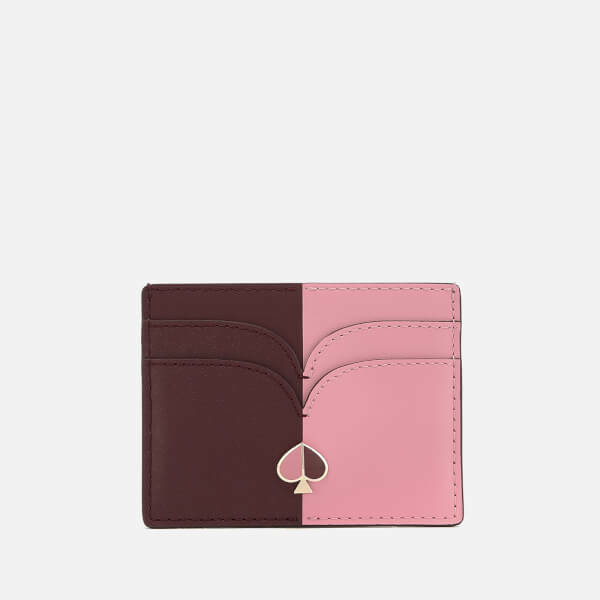 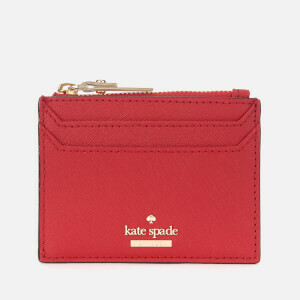 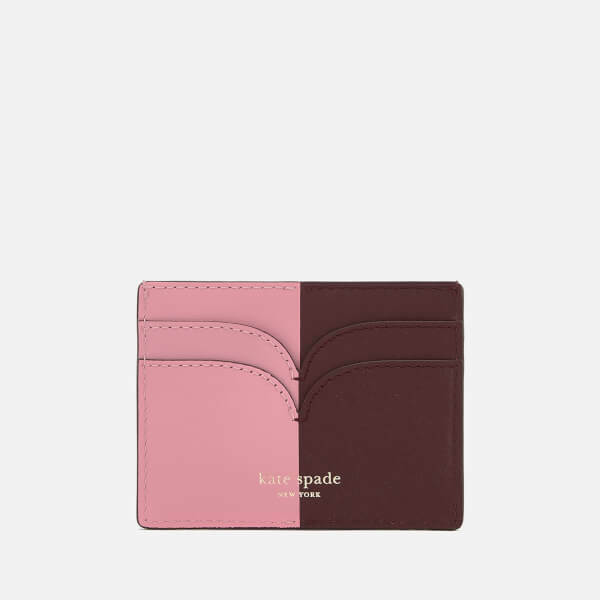 Kate Spade New York card holder in smooth pink and brown leather with a bold bi-coloured design. 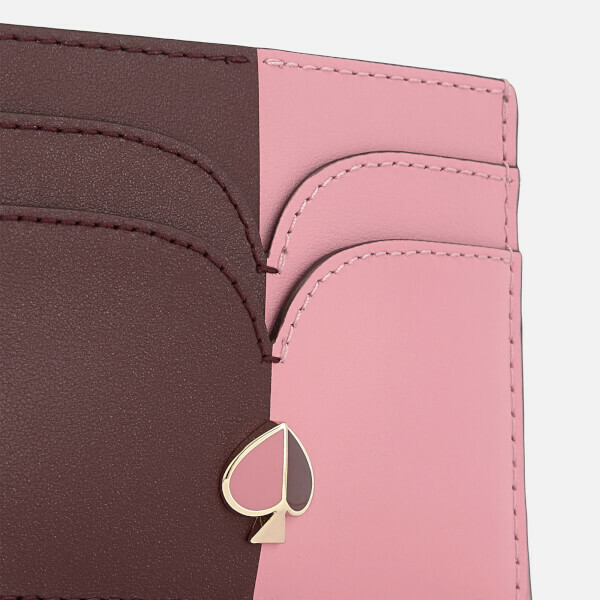 The compact card holder is designed with four card slots and an inverse enamel spade logo on the front. 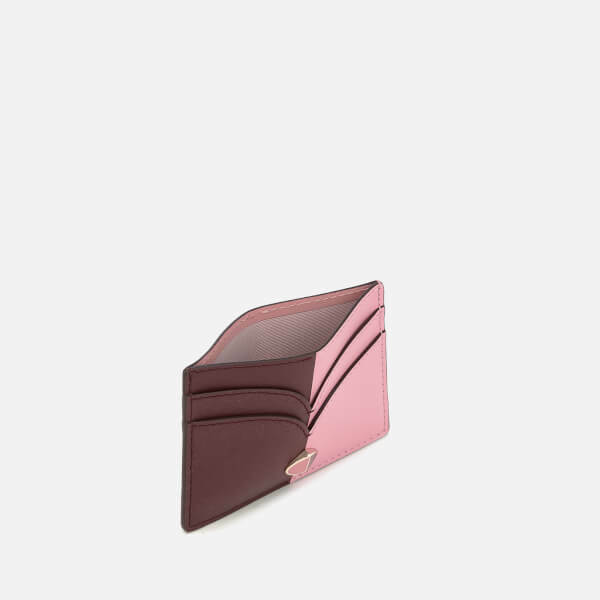 Gold-tone foil branding on the reverse and a lined internal note pocket completes the style.